Language is a tool of communication. It is very essential and needed for human being. Language can be expressed in the spoken and written forms. In the globalization era, English as an International language must be mastered by the people that do not speak English.Manycountriesuse English as EFL/ESL, so the language must be mastered by the people to develop their skill in order to face the globalization era. English is also one of the most influential factors for getting job. English in Indonesia is generally taught as a foreign language. The term foreign language in the field of language teaching is different from the second language. Foreign language is a language that is not used as a communication tool at certain countries where the language is taught. While a second language is a language that is not the primary language, but became one of the commonly used language in a country. It is started from elementary school up to University, since it is important to develop science. In English language learning, there are four skills that need to be mastered by students. They are listening, speaking, reading and writing. Those four skills are very important in English. However speaking skill is the most important skill, since the skill is needed to apply in communication. Beside the four skills, English has several other important aspects, such as grammar, vocabulary and pronunciation. According to Mead and Rubin (in Panorama, 2014:2) said, “Speaking has many purposes; they are to inform, to persuade, and to solve problem”. Speakinghas avery vital rolein teachingorineveryday life. Howwill we delivertheinformationifwe can?????? 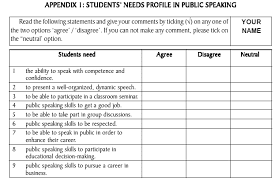 Belum ada tanggapan untuk "AN ANALYSIS OF SPEAKING ACTIVITIES IN ENGLISH TEXTBOOK "